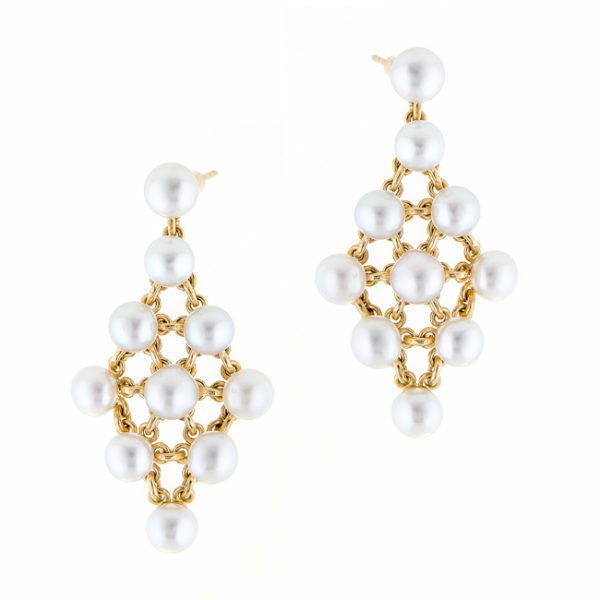 A perfectly interlocking mesh of South Sea Keshi pearls feature in these statement earrings. Articulated from every angle these earrings are breath-takingly beautiful. Limited edition with matching Duchess Pendant. Also available in white gold.